The Lake District: fit for a princess! If it’s good enough for the Middleton family, it’s probably good enough for your family too! Much has been documented about the Middleton family recently and, in particular, their love of the English Lake District. 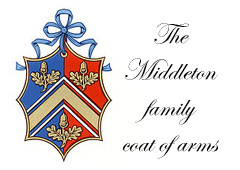 Even the new Middleton family coat of arms depicts it: the gold chevron in the centre represents Kate’s mother whose maiden name is Goldsmith whilst the white chevrons either side are said to symbolise the family’s love of mountains and, in particular, the Lake District. The Lake District is arguably the most beautiful corner of England, its beauty having been documented for many generations by the likes of William Wordsworth and Beatrix Potter, among others. And, according to an official biography, Kate’s love of hill walking continues to this day – a pastime that is also enjoyed by Prince William who makes regular visits to the county himself, as well as being Patron of Mountain Rescue England and Wales. Anyone wanting to follow in the footsteps of the Middleton family for their own family holiday should consider our accommodation – it is ideally situated between two of England’s most beautiful national parks: the Lake District and the Yorkshire Dales. Our luxurious riverside apartment can comfortably accommodate a family of 4 and has still has some availability for the Summer holidays. 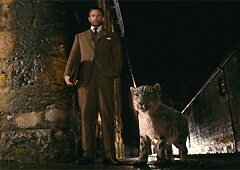 A snow leopard that played the part of Stelamaria in the fantasy adventure film The Golden Compass has moved to a zoo just outside Kendal. The young male Pavan was one of two snow leopards to play the role and is now housed is an walk-through enclosure at Lakeland Wildlife Oasis at Hale, Milnthorpe, just a 20-minute drive from Kendal. Lakeland Wildlife Oasis is a unique and exciting blend of exotic wildlife and interactive hands-on displays, which take you through 3,000 million years of evolution and follow the development of life on Earth – from magic molecules to mischievous monkeys! 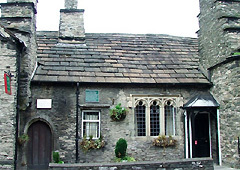 The Castle Dairy on Wildman Street in Kendal is one of Kendal’s oldest buildings, and just a short walk from our holiday accommodation. It dates back to the 14th Century and is currently owned by South Lakeland Council which has secured funding to give it a £160,000 makeover to turn it into a gallery and restaurant. The Grade I listed building will be transformed into an art gallery with a patisserie over a three-month period and will thereafter be a project that is run by Kendal College. Followers of the ITV’s ‘The Lakes‘ -presented by Rory McGrath – will no doubt have enjoyed seeing the series return to our screens this year, with viewing figures estimated at around 4.8 million. More recently, ITV have also come up with a new documentary called ‘The Dales‘ which is presented by Ade Edmondson. 4.4 million tuned in to watch this 12-part series when it opened last month. 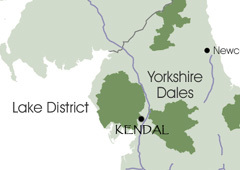 So, if you’re one of those fans of the Lakes and the Dales, where’s a good base? Why, Kendal, of course! Just look at the map and you’ll see how perfectly situated the town is for exploring these two beautiful National Parks.